The Consortium of defense and promotion of Piadina Romagnola PGI has been founded by a series of components between institutions and companies working in the field of food production, situated in the suitable areas of Rimini, Forlì-Cesena, Ravenna and Bologna until Sillaro river. The Consorzio has been made up with the aim of promoting, enhancing and informing the consumers about the of Piadina Romagnola or Piada Romagnola, in its Piada or Piadina Alla Riminese version, and to enforce the application of the production specification, the main text deposited at the EU, with the indication of the traditional recipe. The Consortium has been made up to promote, enhance and inform the consumer and grant in its production the strict observance of the traditional recipe. 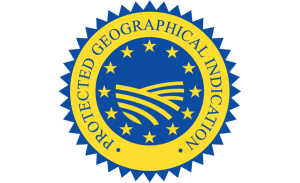 The efforts made by the consortium during the years, have brought to get the Protected Geographical Indication (PGI) recognition in October 24th 2014. Since then the Consortium works for the defense and promotion of Piadina, doing market analysis, participating at the leading trade fairs in Italy (Cibus Parma) and in Europe (France, Germany, Belgium), in order to expand the knowledge of Piadina all over the world and create new market opportunity. Nowadays the Consortium is composed by 13 different sized companies with handicraft and industrial production, in addition to the traditional kiosks placed along Riviera Romagnola. For those companies the Consortium acts as a mediator and proponent in order to stipulate agreements with private and/or sector entities in accordance with its social purpose. This means, also, the possibility to delegate functions and actions to other associations and to allow the use of its services, structures and employees to reach the communal objectives. The Consortium offers to its associates the necessary support in reaching the PGI certification, following the companies from the preliminary to the operative phase with non-profit-making. The admission as associate of Consortium of defense and Promotion of Piadina Romagnola PGI is open to the manufacturers involved in the production of Piadina Romagnola and is approved by the board of directors who establishes the procedures of candidacy, examines the necessary documentation and decides the potential costs for the applicant.